Montessori education is known for fostering the development of independence, by allowing students freedom and responsibility. Students work with teachers to set goals, map out their plan, and strategize how to stay on track. Students work independently, and in groups to reach benchmarks, and eventually accomplish their overall learning goals. 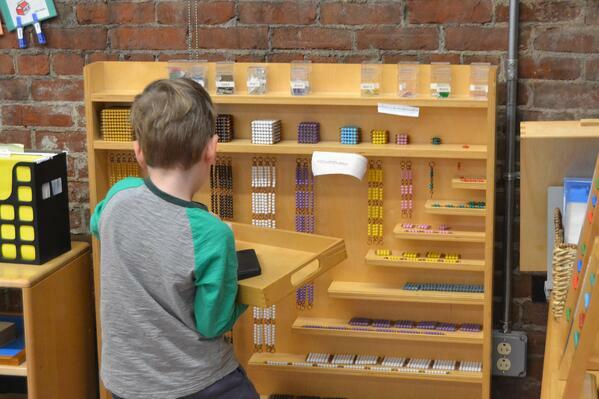 This level of independence is a goal of Montessori education, and takes careful cultivation. Starting in Early Childhood, students work with teachers to plan out their work for the week, and beyond. Students use physical journals to mark down the work they need to accomplish and practice in order to move on to their next benchmark. These planners act as roadmaps for the students, helping them stay on track towards their next goal, and motivating them by showing how far they have come. Students use their time during independent work blocks to pursue their learning goals either individually or in small groups. Students select their own work either from the classroom shelves of materials, or from the work they had been doing previously. Students choose a place to work, and set out the materials they need. This may involve laying out a mat to do work on top of a carpet, or gathering materials for multiple people to work on a project together. Students focus on their work until they feel they've accomplished what they need to for that day. Teachers observe and encourage during work blocks, and guide students only when needed. Self-selecting work even goes beyond independent work blocks. 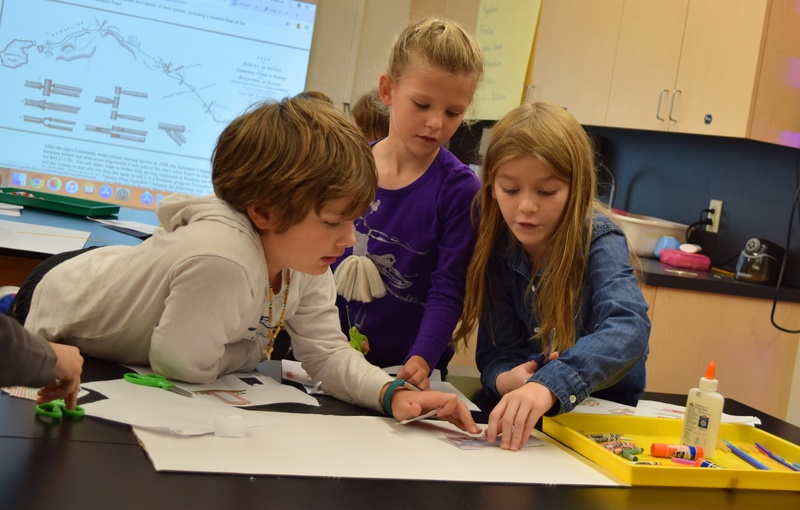 Students are encouraged to pursue their passions, and to incorporate learning from a variety of subject areas into projects that they are excited about. Maria Montessori preached the idea of "following the child;" allowing the child to dictate the course of learning, with the teachers encouraging and supporting the child. Indeed, Montessori teachers follow the child, while also encouraging the child to follow their curiosity and passion. Montessori education, especially as students get older, is very project-based. Students learn about similar subject matter, across a variety of disciplines, to better synthesize and systematize the information. It is common to see students creating projects that incorporate all of the different "subject areas" that they are currently studying, or have studied in the past—relating it all back to an idea or issue by which the student is enthralled. In this way, the student can learn more by doing, rather than by observing. 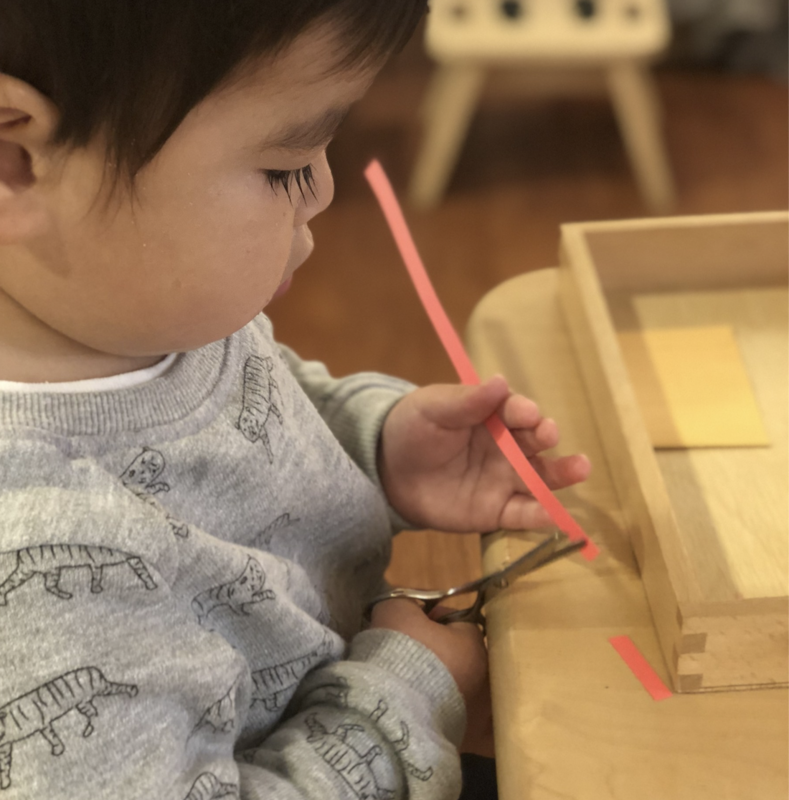 Montessori education strives to help students find what motivates them, and aims to provide the support they need to succeed in their pursuits.